During the past decade, glucomannan has been introduced to European and USA markets as a dietary supplement and food additive. You may be asking, what is glucomannan? Well, it is a water-soluble polysaccharide that is considered a beneficial, fermentable and soluble dietary fibre derived from the Kojac root, a plant that grows in Asia. In East Asia, this supplement was used for thousands of years as a food, and for traditional medicine purposes too. Nowadays, glucomannan powder has many health benefits that have been scientifically researched, one of which is for constipation relief. The glucomannan powder works as a bulk-forming natural laxative helping to promote a larger and bulkier stool that passes through the colon easily. Studies of double-blind trials proposed that glucomannan is an effective constipation treatment that encourages a bowel movement within 12 to 24 hours of intake. Konjac root powder is also a prebiotic that feeds the friendly bacteria in the intestine. A study published in 2008 showed that glucomannan supplementation increases the faecal concentration of probiotics in general, as well as specific friendly bacteria such as bifidobacteria and lactobacilli. There are many constipation products encompassing glucomannan on the market. 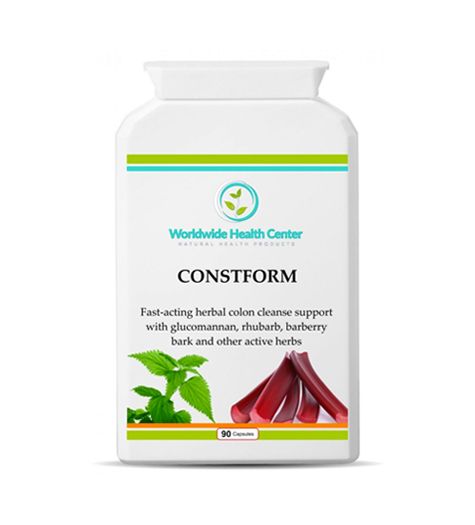 This formulation called CONSTFORM is a practitioner formulated and clinically tested product, designed for the chronically constipated in need of quick relief for a blocked bowel. Based on a Dr. John R. Christopher formula, this tried and tested combination of active ingredients is known as the ultimate herbal laxative. 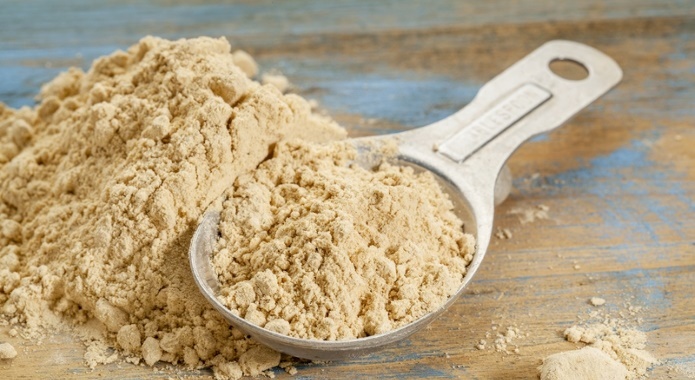 Ingredients include: Rhubarb Powder, Barberry Bark Powder, Glucomannan 90% Powder, Alfalfa Powder, Cayenne Powder, Garlic Powder, Aloe Vera Extract (200:1), Dandelion Root Extract (4:1), Ginger Root Extract (20:1), Nettle Leaf Extract (4:1). This entry was posted in Curing with Natural Remedies, Natural Cures, Nutrition and Health by Dr George Georgiou. Bookmark the permalink.